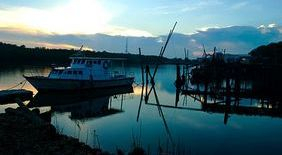 Established travel guides will tell you Kuantan is nothing more than a 'stopover' en route to the islands further up the East Coast of Peninsular Malaysia, or to the magnificent forests of the interior. Only three hours' car journey from the heart of the capital Kuala Lumpur, there is something truly liberating about the short breaks on offer here. Many rows of shops and stalls serving varieties of special seafood cuisine like keropok lekor, keropok sagu, sata, otak-otak, crispy yummy battered prawn,squid and fish. All those mouthwatering food won't be complete without a glass of sweet and refreshment coconut juice to quech your thirst. Visitors will hard to choose which food to be ordered and at last you will pick many kind of food on the table at one time. Those food mention are for tea only. How about for dinner?0oo.. There are many famous and favourite seafood & Thai hot dish restaurants which we can see along Jalan Tanjung Lumpur and along the offshore at Kg Teluk Baru, one of a fisherman village. It offers many kind of menus like grilled fish & seafood with special & authentics sauce,any seafood cooked in sweet sour, tom yam soup, paprik seafood, special mango salad with fish sauce, favourite battered squid and prawn and etc. Each restaurant has their own secret recipes on battered squid and prawn. These restaurants will receive overloaded customers each night especially from 745 pm to 900 pm. Things will goes double during the fasting month, Ramadhan whereby the tables must be booked starting from 3 p.m and it will be late if you call at 5.00 p.m.
Our homestay offers the best shelter to stay for one or more nights. It is situated only a few km from those favourite and famous food shops and restaurants. Its a perfect and ideal places for visitors either from Pahang or outside Pahang after shopping and dining at those places. For the time being we have a homestay which offers RM260 per night . Contact Kama:0139421989 or Sha:0199934060 for further information. Our homestay is at Bandar Putra (BP) which rate is RM 260 per night. It is located about 5km from Kuantan town. It is suitable for quite large group or family maximum 20 pax. 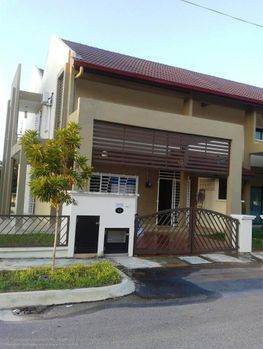 It suits students trip/tournament, 'kenduri' group, sports contingents, family gathering/holiday, company's family day etc.The house consists of 4 spacious bedrooms,3 toilets, wet kitchen, dry kitchen,1 spacious living room and family area. All bedrooms and the living room are equipped with air-conditioning in order to make our guests feel more comfortable. See photo gallery for the details. You may refer the calendar to see the availabilities. Located 3km from our first homestay,Bandar Putra and 12km from our second homestay, Indera Sempurna.Both are not far. 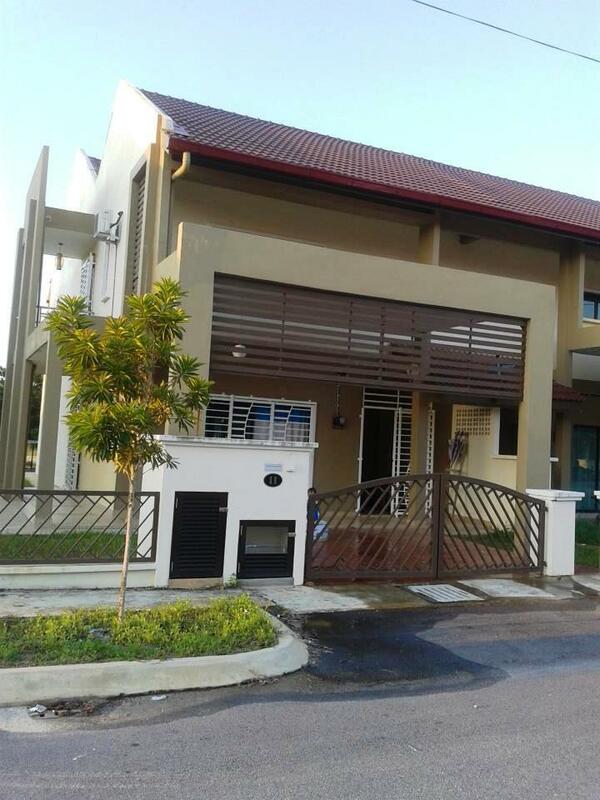 Located 8km from our first homestay, Bandar Putra and 12 km from second homestay,Indera Sempurna..both are not far too. 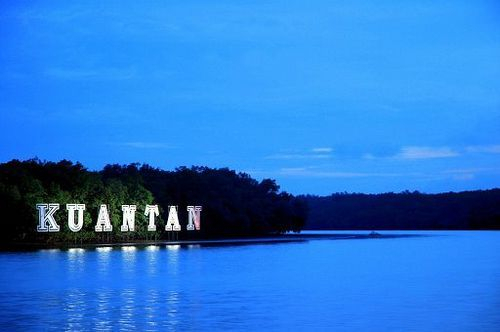 This location is nearby the Kuantan bridge.